Greetings from Car Design Academy! 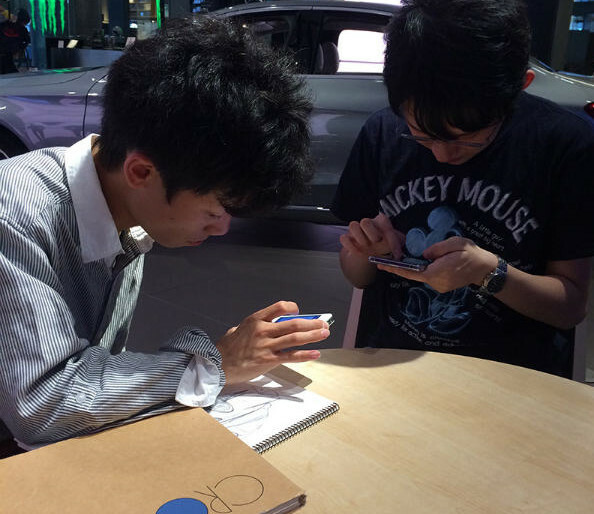 Car Design Academy (Japanese ver.) is a new school which opened on August 2013. Despite that, our very own students, were both hired as a car designer and engineer by 2 famous car maker companies, respectfully. It was such a coincidence that the two of them are from the Kansai area. Lets hear what they have to say! Maruyama) Long time no see.We haven’t seen each other since our practical training. Okahashi) It really has been awhile! Maruyama) I was so shocked to see someone from the same school during that training session. I noticed it when you said that you graduated as an engineering major. Okahashi) I noticed it when i saw your name! Anyway, congratulations on the employment. Maruyama) Thank you. Same to you! I heard that it was your goal to get this job, well done! Okahashi) When I was in high school, I actually wanted to be an engineer more than a car designer even though I liked cars a lot. My interest in car design sparked after reading the review about Audi’s design, where it was said that the design has changed. I realized the beauty of a car design is equally as important as the performance of the car. ‘This stretch..’ as Okahashi starts to explain. Okahashi) One of Audi’s car designers, Mr. Satoshi Wada is someone whom I looked up to and that drove my passion to become a car designer. Mr. Wada graduated from Musashino Art University and I wanted to follow his foot steps as well. However, no one from my class wanted to further their studies in art universities, so I was caught up with the flow and ended up in some university majoring in engineering. Maruyama) I can related to that. It was hard for me to tell my parents or people around me that I wanted to go to an art university or design school. Okahashi) I had a dilemma on what I should pursue during my university days too. I entered an art group anyway, but not a single person in the group drew cars. By the way, why did you purse the path of a car designer? Okahashi) I think that is a brilliant way to practice! Me, on the other hand, copied sketches from car website. I realized that there were no books available to reference decent car designs from. And there were even fewer people around me who knew about car design . That is why I didn’t even know the right way to draw reflections or shadows, yet the only way was to self-study from trial and error. Maruyama) Even though I knew my sketch looked weird, I didn’t know where nor how I could improve. What made it worse was that I did not have the fundamental in sketching or drawing too. So, I had to learn car design from zero and was worried if I was able to become better. However, I did not give up my dreams in becoming a car designer. I was actually wondering whether to enter vocational school or just go job hunting after I got my degree. Due to the expenses, I was only able to enroll 2 years of vocational school if I were to. Maruyma) I see. How did he respond? 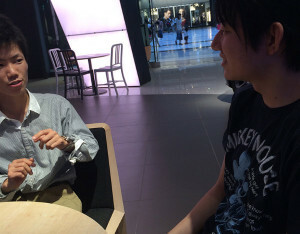 Okahashi) He was really kind to listen to my problems. I told him about my educational background and graduation date, and he advised me to continue my career as an engineer as I have the environment to be one. “Not everyone is able to attend a school like I do, so it’s better to cherish this chance,” he added. That is why I made up my mind to pursue engineering, however not long after, I stumbled upon Car Design Academy while I was browsing Carview’s website. Okahashi) With Car Design Academy, I was able to study online even while I was far away and pursue engineering at the same time. So I thought that I should give it a try. Maruyama) I agree with you on that. Besides, it’s great that you can start classes right after you enroll too. I was worried and thought to myself, “can this online study work?” Despite the outcomes, it’s good to challenge and try out something new. 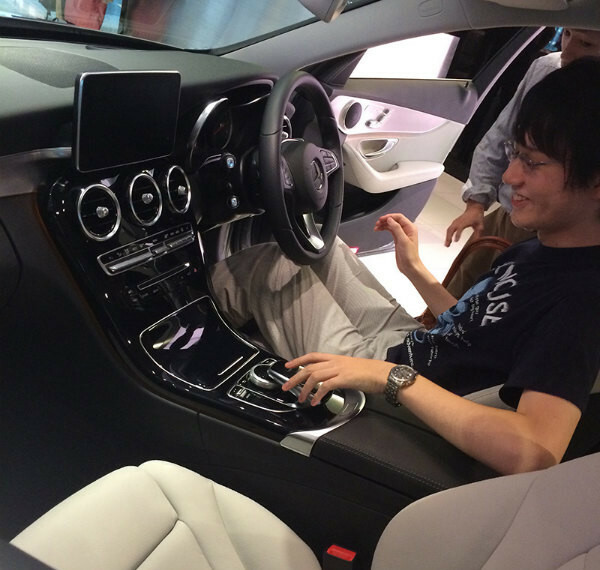 Okahashi) Compared to art universities, Car Design Academy’s school fees are way cheaper. The college terms are interesting too. I wish I have enrolled earlier than I did. Maruyama) That’s so true. At first it was hard to believe their offers. 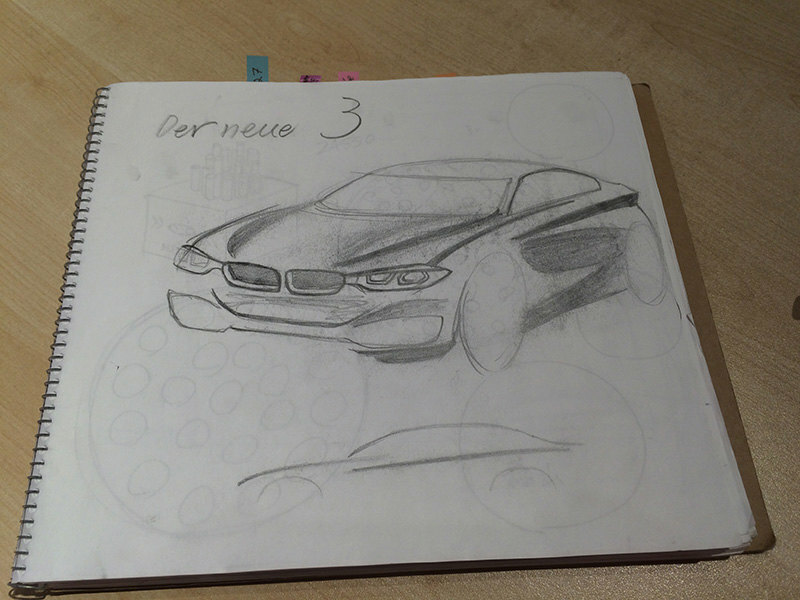 I was doubtful with the fact that just by attending lessons, you can actually become a car designer. That makes me want to have a plan B which is to go job hunting after graduating while attending Car Design Academy’s lesson. Okahashi) Despite that it’s great that you have landed a job. Maruyama) During the training, the fact that me and you weren’t from designing backgrounds were so obvious. However, I was told that the reason they wanted to hire me was because I am attending the Academy. Both are having fun in exchanging ideas about the interior. 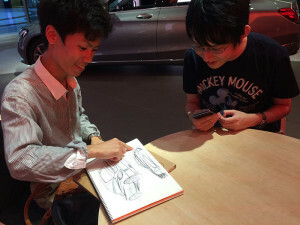 Okahashi) I actually appealed to them that I am attending Car Design Academy during the interview. I did succeed in catching the interviewer’s attention because someone who has a engineering background and is able to sketch is hard to come by. 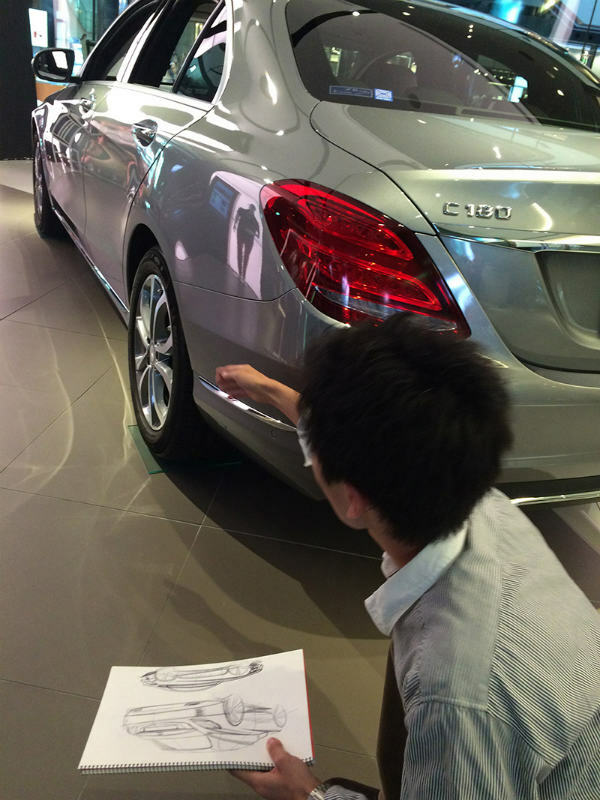 I believe that when you are developing a car, design skill is necessary. I felt that I am the chosen one who has to fulfill that and that is why I was employed. Even though I will be working as an engineer, I make full use of what I have learned in Car Design Academy. Maruyama) I was thinking the same thing too. I wanted to brush up my skills before I start working. I am still in Lesson 20 though. I think I am better after those lessons, but i regretted that I started late. Okahashi) I did not start any earlier than you either. Car Academy Design teaches you from the fundamental techniques. The vigorousness of lines, quality of circle drawing and how to emphasize the positions and much more were taught. Textbooks and videos were really helpful. Among that I thought that the advise on touch up that was given to me was pretty helpful. Maruyama) Because the lesson is a man-to-man lesson. Having a professional give you lecture is really important for learning better. You will only realize that after you start attending lesson. Okahashi) It makes you realize your weird habit in sketching too. It is compulsory to use water-base pen in Academy and that really helps in improve your sketching. I felt my improvement when I used a pencil to sketch recently. The feeling is like Goku from Dragon ball (character in a Japanese animation)who came back from his training, all shaped-up and fresh, it felt great! Maruyama) I know that feeling. The quality of line drawing really gets better. Okahashi) My drawings used to be small. This is because I only moved my fingers while I was drawing. But now, I am able to use my whole wrist to draw a fast and clean stroke. That makes my drawing larger. By knowing the technique, I now move my shoulder, but not my fingers and that enable me to draw a perfect circle. Maruyama) Further more, you speed up on your sketching too right? Okahashi) Yes i did. I can do a really fast sketch compare to before. After attending the lessons. The lines are more emphasized. Okahashi) When do you practice by the way? Maruyama) I do my practice mostly at night because I have class in the afternoon. I usually access Car Design Academy’s study website and view the textbook and videos. After I understand it, I will start to draw and draw solely. I can draw for hours if I had my head into it. Okahashi) It’s really great that we can submit our task anytime, even late at night, through the web. It is the same when submitting a question, you can do it anytime. Maruyama) I failed some tasks at first and was troubled about the fact that I was so bad at it. However, by talking to the lecturer, I have overcome all of the obstacles. Okahashi) I am glad I enrolled into Car Design Academy because until now, I don’t have friends who wanted to be a car designer, so I had no one to share my passion with. Besides, we are able to view other student’s work and the touch up advise from the lecturer accordingly. That motivates me when I see progress of other student’s work. Maruyama) That wouldn’t work for me! I will get anxious instead. Okahashi) I will get that too. But for people like us who aren’t from design school, chances of viewing other people’s work are hard to come by. I think it is a great motivation for me. Maruyama) Moreover, we can view the videos on how the professional designers sketch, over and over again. That is something valuable to me. Some techniques are hard to be taught by textbooks, but by video, I get to imitate the lecture techniques. Okahashi) Being able to watch how the pros sketch feels so great! 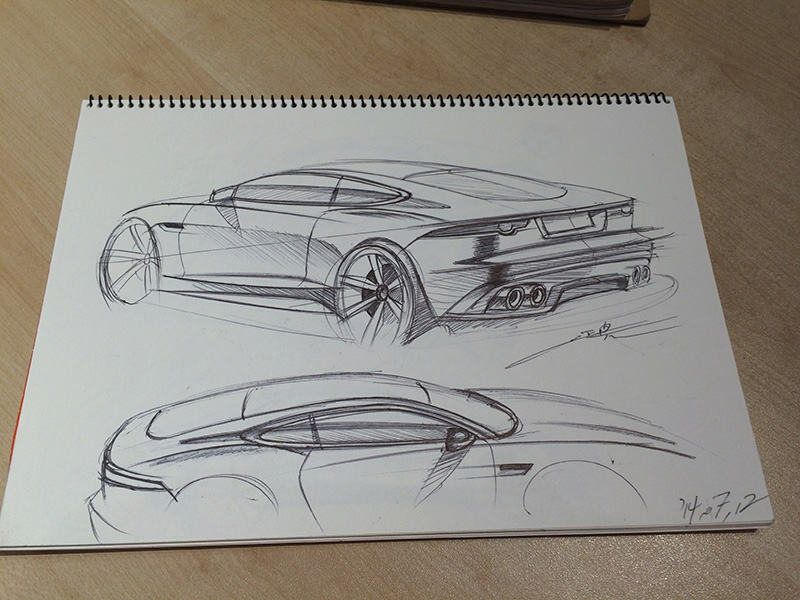 Maruyama) For those who have even the slightest interest in car design, I really recommend Car Design Academy. After attending the lessons, you will realize that it is impossible to improve to the next level by self-study. Getting advise from the professionals does make a big difference. For those who are still in a dilemma, why not take a step forward? Okahashi) I agree. At first, I was doubtful about Car Design Academy because it is something I saw from the internet, yet, now I am really grateful that I entrusted my dreams in Car design Academy . I will start my job as an engineer next year and I look forward to having designers from Car Design Academy as my colleagues . Lets rock the car industry! Maruyama) Me too. Though I will be in a different company, I will do my very best as well! Okahashi) Let’s continue to support each other. The two are exchanging contacts. 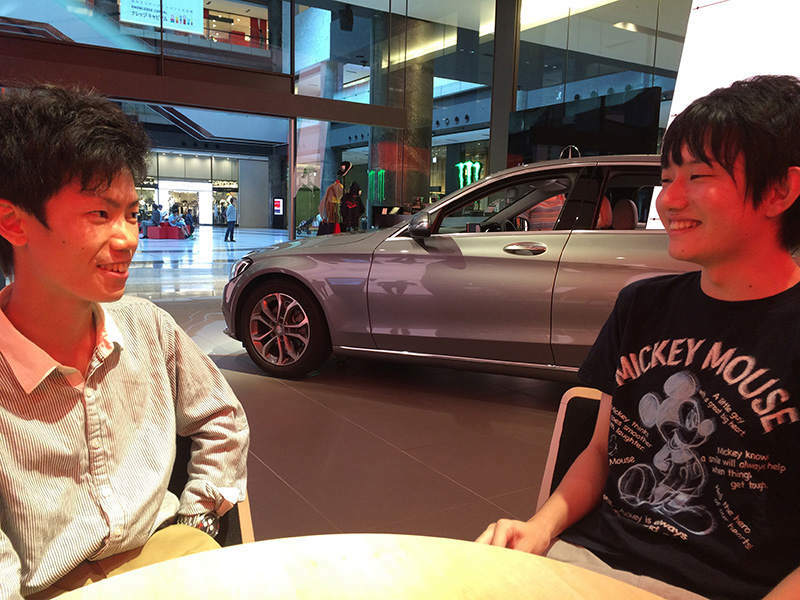 A car designer and an engineer; even though will be working in different companies, we look forward to their success.